Vermont Maple Beer – Tripple Your Pleasure! 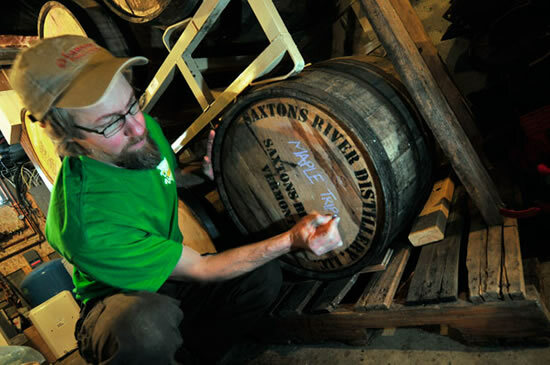 Sean Lawson labels his handcrafted Vermont Maple Tripple Ale. 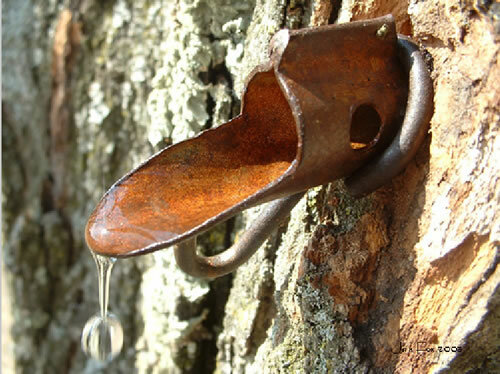 So today, we indirectly highlight one of my favorite Vermont products – Maple Syrup. Yes, we’re talking about real maple syrup, which is my preferred choice for pancakes, waffles, and – it looks like soon will be – Vermont Maple Flavored Beer (ale), of which I’ve had a few. Lawson’s is not just any ale. 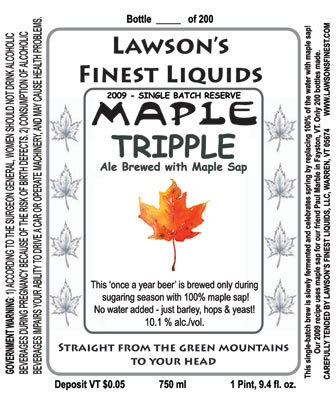 Lawson’s Ale is actually made with real, authentic Vermont Maple Sap as a major ingredient. Its ingredients are maple sap*, barley (grown in Vermont), yeast, and hops – which may be Vermont grown too. Tapping Vermont Maple Sap for Syrup and Beer! 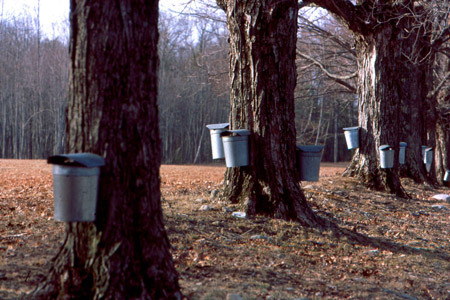 *The last Maple sap that is collected each season has a dark color and potent flavor – so potent that it has traditionally not been sold. Until several decades ago the farmers made it into maple ale for themselves and enjoyed it during the summer months. Some craft beers are flavored with maple syrup or have been “bottle conditioned” with maple syrup as the food for yeast that naturally make CO2 – thus giving the brew a good frothy head. Hey, using real Vermont Maple Sap makes it special! Not many craft breweries of any size can be awarded a “Beer World Cup”. Lawson’s was a Silver winner in 2012 and a Bronze medalist in 2010 in the specialty beer category of the Beer World Cup. Congrats to Sean and Karen! Now, we just need to go to Warren Vermont and find some of their rare brew. There are currently making only about 375 22oz. (bomber size) bottles a year of their cask-conditioned Maple Tripple bottles. At just over 10% ABV – I guess I need to stand in line.